Badgers are rarely seen as a positive at the moment, mainly due to the virus that they can carry, TB. TB or Bovine Tuberculosis can be passed from the animals onto cattle. TB is one of the largest challenges facing the cattle farming industry today. Paignton Zoo and The Whitley Wildlife Conservation trust are vaccinating wild badgers. However at Paignton Zoo the issue is more complex. Vets are working around the clock to test numerous exotic mammal species that are susceptible to TB. Paignton Zoo was found to have the virus at its charity zoo last year. Vaccination is the key part of the plan. We want to protect the wild badgers as well as the Zoo’s exotic species. We had to put our name on a waiting list for vaccine – last year there was a worldwide shortage. We’ve acquired specialist equipment, done the training and obtained a license to trap and inject wild badgers. We hope to vaccinate as many animals as possible, both adults and juveniles. We will have to do this for a number of years to build up the immunity of the badger group. The plan doesn’t just rely on vaccinating the badgers but also focuses on making changes to the animal husbandry practices. The zoo is also investing in badger-proofing materials for some enclosures. TB means a ban on the movement of mammals in and out of the Zoo, staff are also working to prevent breeding in certain mammal species. Badger vaccination work is highly regulated. A highly trained, licensed and experienced member of staff is injecting the badgers once they have been humanely trapped. The secret ingredient is to use peanuts to draw the animals in. 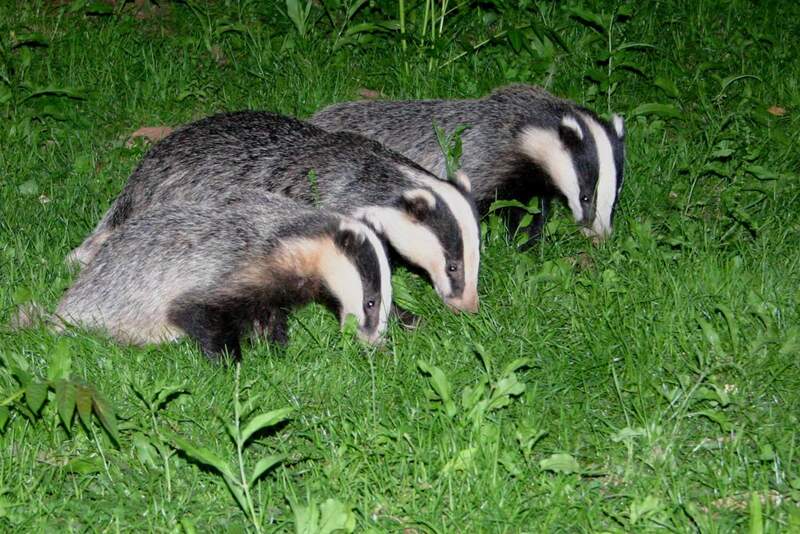 The training teaches the staff to look for badgers in the field, follow biosecurity guidelines, plan and site traps, trap the animals safely, hand vaccines and vaccinate wild badgers appropriately.